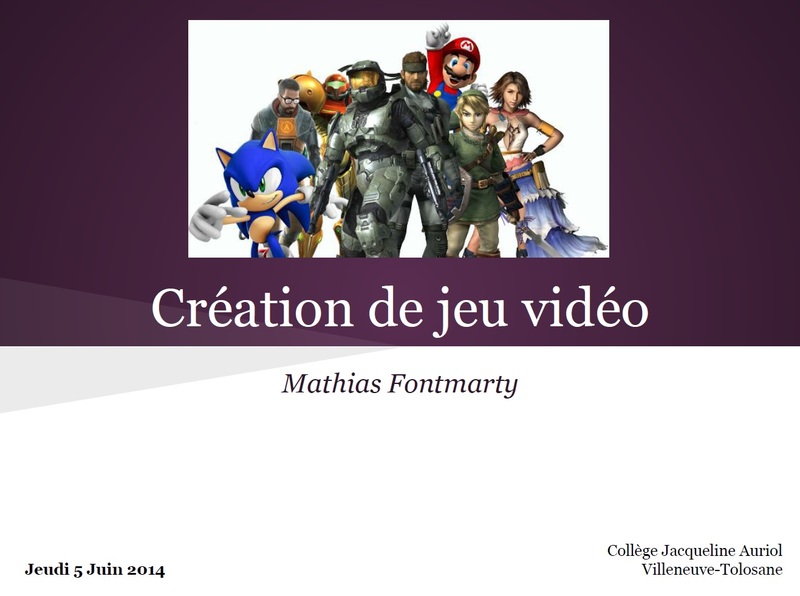 This is just a quick post to share a little presentation I made in a secondary school to introduce the job of "game developer" to young guys between 11 et 15 years old. By the way, thanks a lot to my friend Mathieu for inviting me and thanks also to his colleague Richard! And of course, thanks a lot to all the pupils of the computer science club of Jacqueline Auriol school in Villeneuve for their enthusiam. And surprisingly enough, it was quite difficult to prepare this presentation, because I had so much to say, but I had to simplify a lot the complexity of the problem to make it understandable for teenagers. A very interesting exercise! Apart from that, I still work on my game of course. But more on that later!